Music Listening Example: "Barbara Ann"
Relate artistic ideas and works with societal, cultural, and historical context to deepen understanding. Frameworks CN.11.K.2.-CN11.4.2., CN.11.5.2., CN11.6.2. The Beach Boys are an American rock band formed in California in 1961. They represented the “California sound”. Their distinctive sounding vocal harmonies and song lyrics evoked a southern California youth culture of surfing, cars, and romance. 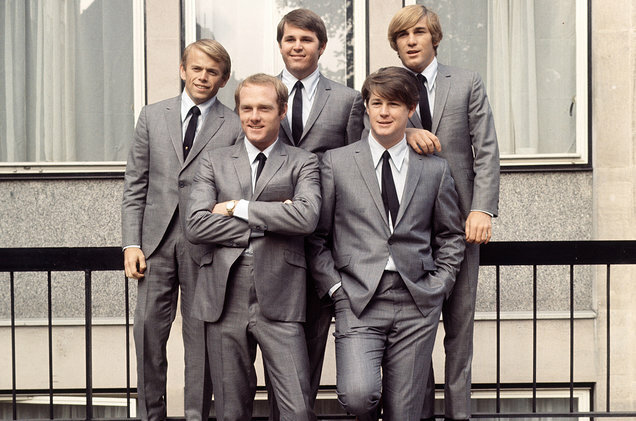 The Beach Boys are considered “America’s Band”. They are one of the most successful and influential bands of all time. Their style and ability made them America’s first and most-loved rock band. Some of their songs include "Good Vibrations", "Barbara Ann", "Little Surfer Girl", "Surfin' USA", and "Little Saint Nick", to name just a few. 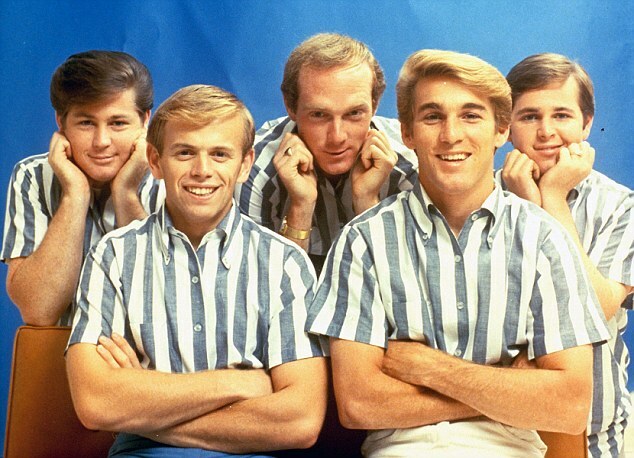 One of the sound qualities that makes the Beach Boys recognizable is the way they sing harmony together. Harmony refers to two or more different pitches sounding together at the same time in what we call chords. In the Beach Boys songs, these chords produce a smooth, blended sound quality. The four voice parts are called lead, tenor, baritone and bass. The highest sounds are the lead and tenor, and the lower sounds are the baritone and bass. 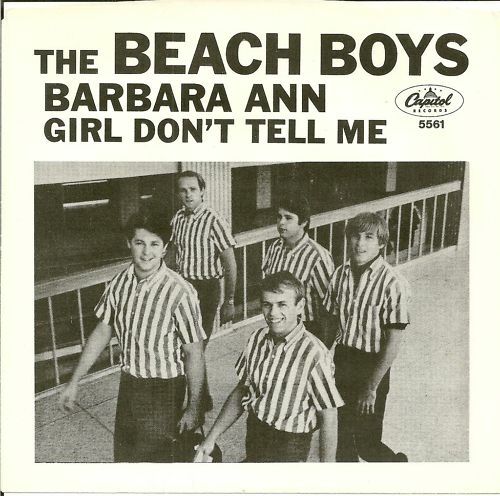 Today's song, "Barbara Ann", is a good example of the harmony heard in the Beach Boys' music. 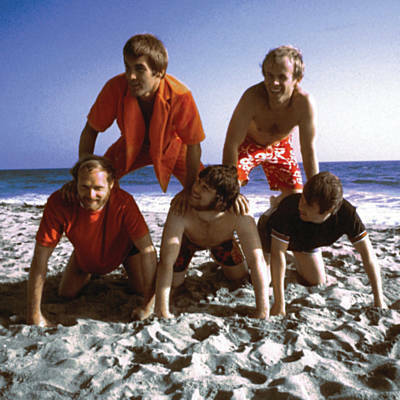 Music Listening Example: "Surfin' USA"
The Beach Boys original group included Brian, Dennis and Carl Wilson, their cousin Mike Love, and their friend David Marks. At age 16, Brian shared a bedroom with his brothers, Dennis and Carl – ages 13 and 11. Brian had listened to how different vocal groups sang harmony on records and the radio. So he taught his family members how to sing background harmonies to a lead melody. That Christmas, Brian received a reel-to-reel tape recorder and Carl received a guitar. Brian learned to use the tape recorder to layer sounds on top of each other, called dubbing. The boys practiced in their bedroom and Brian began writing songs. When their parents were away on a short vacation, they rented drums, amplifiers and microphones, and practiced for three days. They soon began performing at their school. WHY ARE THEY CALLED THE BEACH BOYS? At first, they called themselves The Pendletones, after a popular shirt style called a pendleton. But Dennis was the surfer in the family, and he suggested they write songs about the sport and the lifestyle that developed around it in southern California. So they changed their name to The Beach Boys. 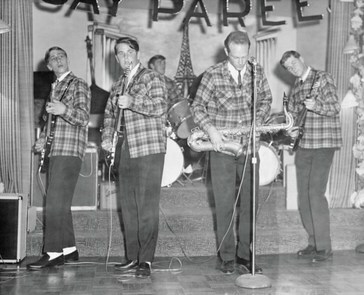 This soon led to the “Beach Boy sound” and their first recording, “Surfin’ Safari”. Our listening example is the popular 1963 song that describes the surfing culture, "Surfin' USA". Music Listening Example: "Good Vibrations"
In 1966, Brian Wilson began an ambitious project that resulted in the song “Good Vibrations”. This record was unlike anything done before in any genre of music recording, and it was the most expensive single record ever recorded. The inspiration for the song title came when Wilson’s mother explained to him as a child that dogs sometimes bark at people in response to their ‘bad vibrations’, or the bad feelings they sense about a person. Wilson used that idea of extrasensory perception to create the song. ​“Good Vibrations” is like a little ‘pocket symphony’ because it contains a mixture of classical, rock and exotic instruments. Wilson recorded it in a layered, piecemeal style in several studios over eight months. The song was like some of the artwork of Henri Matisse. “Good Vibrations” was a cut-up mosaic of musical episodes. Today’s Listening Example is the Beach Boys October 10, 1966 instant smash hit “Good Vibrations.” Listen for the strange “wah wah” sounds in the background music. The Beach Boys were a group of five young men who were not afraid to experiment with new sounds, and new ways of making sounds. This fearless creativity made them the inspiration for many other musicians, including the Beatles. 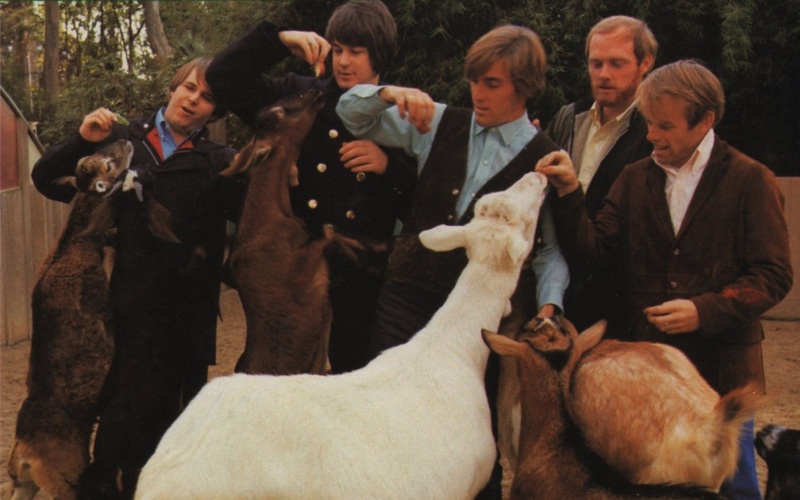 ​In 1966, Brian Wilson and the Beach Boys recorded an album called Pet Sounds. This album was an innovative “soundscape”. It was a groundbreaking pop album that started something new in music recording. It influenced other music groups of that time, including The Beatles. It set a high standard that challenged other composers. Many consider it one of the greatest pop albums of all time. What is soundscape? 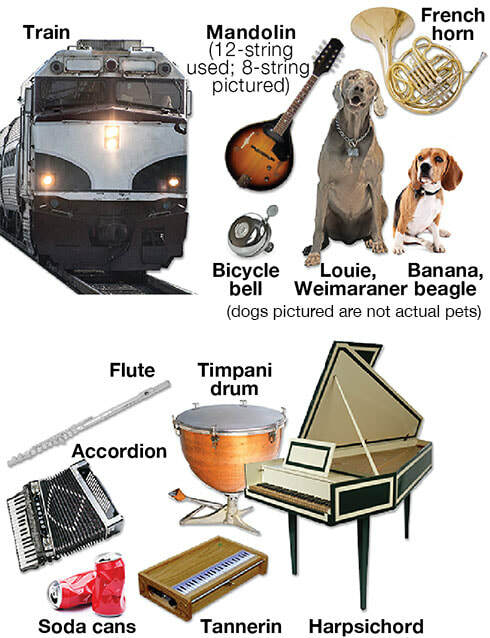 A soundscape is like a musical painting that might use unconventional things as instruments, such as bicycle bells, soft drink cans, silverware, barking dogs, trains, or plastic water jugs. The music definition for these types of sounds is “found sounds”, and they were Brian Wilson’s favorite, or pet, sounds. The Pet Sounds album, released in 1966, was the 11th album the Beach Boys made. 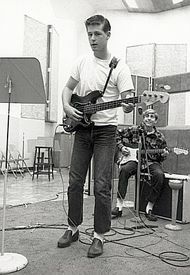 Brian Wilson wrote and produced the album. He didn’t like touring and actually asked Glen Campbell to take his place so that he could focus on writing music. It was Brian’s goal to make this album the best rock album ever made. In 2004, Pet Sounds was preserved in the National Recording Registry by the Library of Congress for being "culturally, historically, or aesthetically significant." Today’s listening example, “Wouldn’t It Be Nice” came from this album. Listen for the soundscape of non-standard instruments in this song that includes hawaiin sounding instruments and maybe some coca-cola cans. 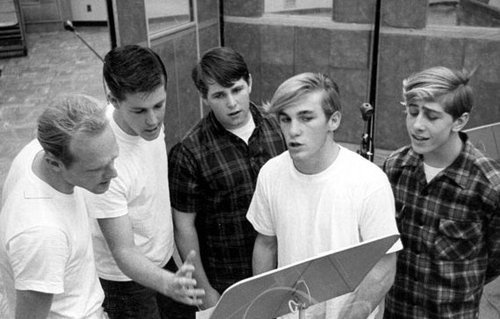 The Beach Boys are a band that still plays music together. They grew up together, lived together, worked together and played together. They are a great example of what best friends should be. 22 years after their last number one hit, "Good Vibrations", the Beach Boys hit the charts again with "Kokomo." The sounds of this tropical themed song came from every radio, stereo and speaker in the summer of 1988. In fact, people loved it so much that it became a number one hit in America, Japan and Australia! Kokomo is a city in the middle of Indiana and is also a small resort owned by Sandals Royal Caribbean in Montego Bay; the title was made up. It was supposed to represent all the tropical places and images that people think of when wishing to get away to some paradise island to escape the dreary work life. The song also mentions many tropical islands such as Aruba, Jamaica, Bermuda, Bahama, Key Largo, Montego Bay, Martinique, Montserrat, and Port-au-Prince. The song's instrumentation makes use of steel drums, conga drums and bongos. This helps to give it the tropical "flavor". The video for "Kokomo" was filmed at one of the Walt Disney World's resorts, which had not officially opened yet. The hotel staff practiced their menu by trying out food and drink recipes on the band, who were their first guests. This was the only Beach Boys video that did not include singer/songwriter Brian Wilson.